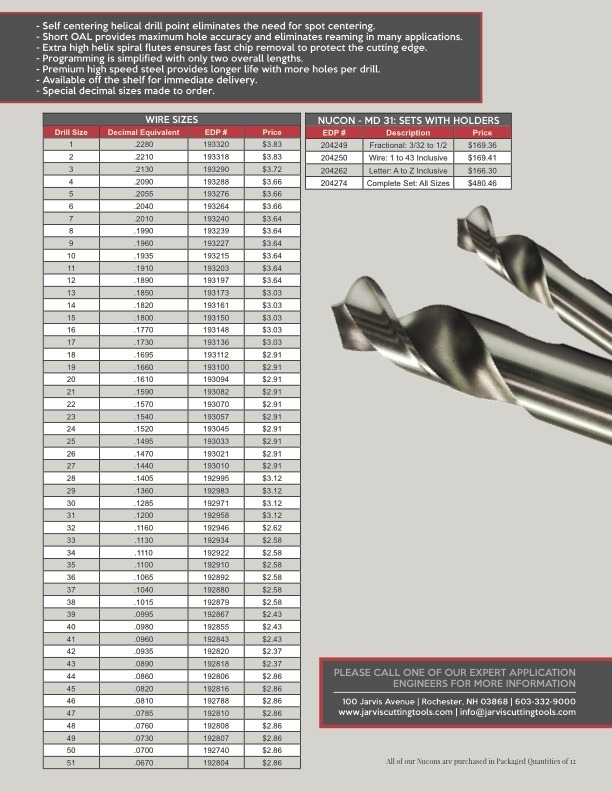 This is Jarvis’ revolutionary drill design for numerical controlled drilling. 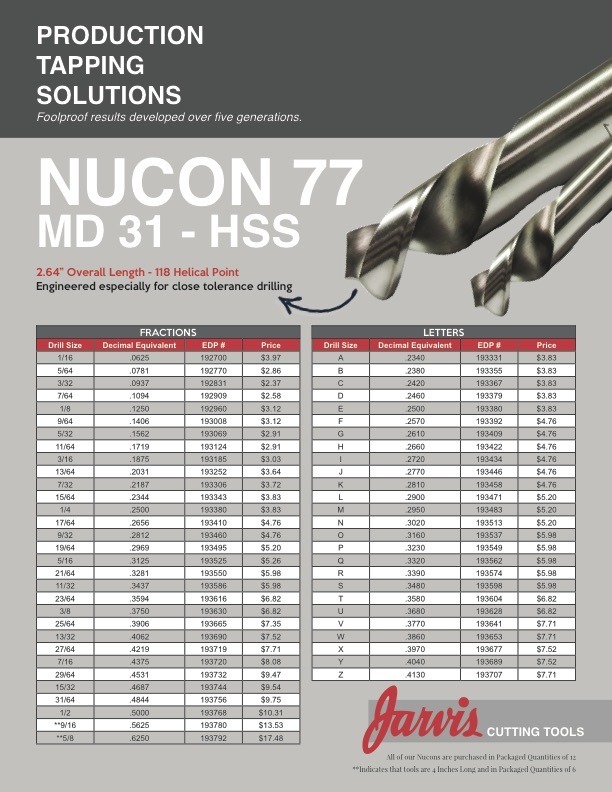 The Nucon 77 features one overall length across the size range for easy programming. 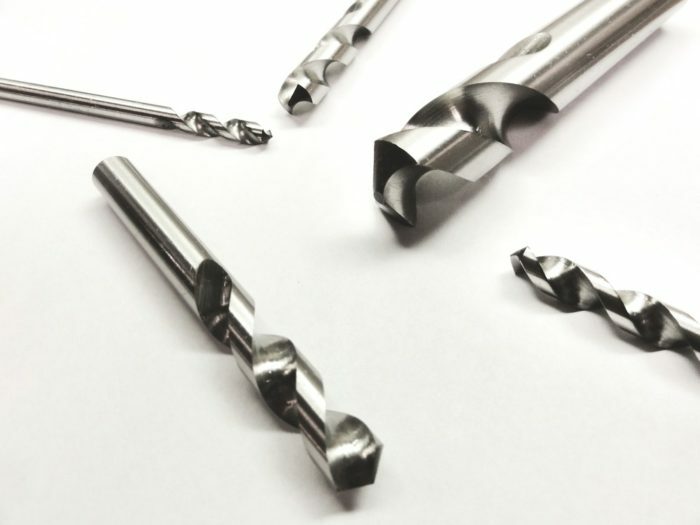 More importantly, this short length construction with the high helix flute can eliminate a reaming operation in many applications. 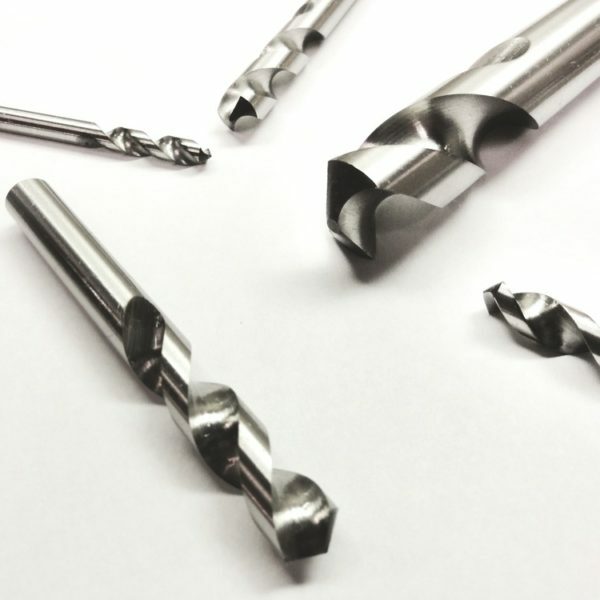 The Nucon 77 is manufactured with premium M7 high speed steel providing longer tool life with more holes per drill. The self centering, helical point eliminates the need for spot centering. With immediate off-the-shelf delivery, Nucon 77 means lower production costs!